This best-selling ASP collection of 4 seasonal audio nightsky tours and 40-page booklet with star charts makes stargazing easy. 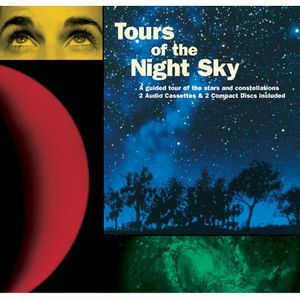 Whether hiking, camping, or simply going out into your backyard, you can play these audio tours (either CD or cassette) on your portable player and embark on a magical tour of the heavens. Using the brightest stars as markers, you will soon effortlessly locate major constellations and discover their mythical origins. It's like having an astronomer by your side! Set includes 2 compact discs, 4 audio cassettes, 40-page booklet. For use in North America. For all ages.